In conjunction with the opening of the Fitzpatrick Institute for the Restoration of Skeletal Tissue (FIRST) early next year, we are delighted to be unveiling a new regenerative medicine service. Whilst there is a multitude of exciting applications for stem cell technology, the service will begin by offering intra-articular adipose-derived stem cell injections to alleviate clinical symptoms associated with osteoarthritis. 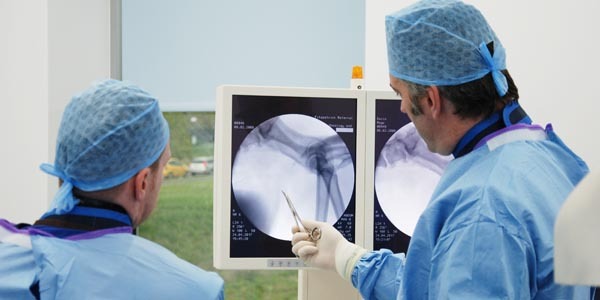 In recent years, we have successfully harboured this incredible cell technology to provide unique solutions for patients with complex orthopaedic problems by combining it with our custom surgical implants. 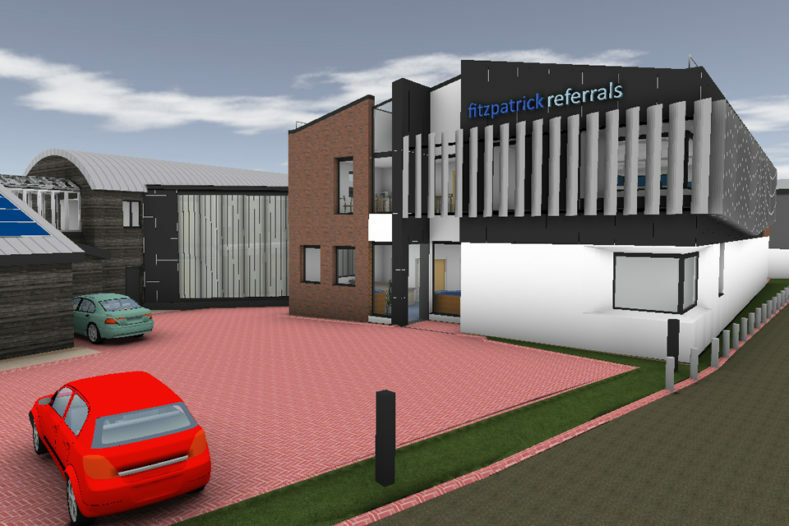 We hope that by launching this dedicated service we will further expand the options available to our patients and their families where traditional methods of medical management have not been entirely effective or where surgical interventions are not applicable or less desirable. Stem cells have been the subject of intense research in human medicine and research has demonstrated that skeletal stem cells can alleviate pain and inflammation associated with osteoarthritis and can improve the quality of damaged bone and cartilage within the joint in some situations. Low levels of poor quality research exist in veterinary medicine, despite what we have learned from studies in humans. With this in mind, patient data and measured outcomes will be assessed in order to establish an evidence base and promote ethical and effective therapeutic interventions to optimise the outcome for current and future patients. 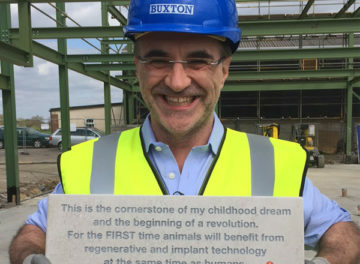 Professor Noel Fitzpatrick with The Fitzpatrick Institute for the Restoration of Skeletal Tissue (FIRST) stone plaque. The service will initially offer concentrated Platelet Rich Plasma (PRP), an autologous adipose-derived stromal cell culture expanded and utilised at early passage, and a co-administration of both. 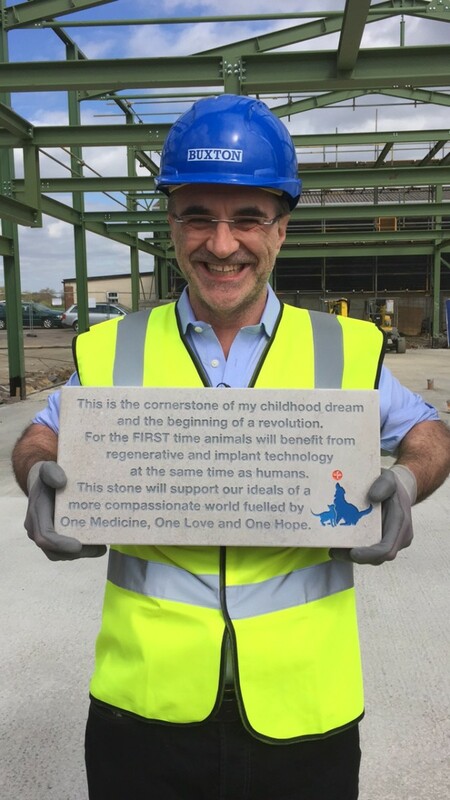 It is vital to Fitzpatrick Referrals that we are able to provide a trustworthy and morally responsible service and so, uniquely amongst those services already commercially available, we will be standardising the quantity and characterising the phenotype of all cells to ensure safe and specific doses can be given. 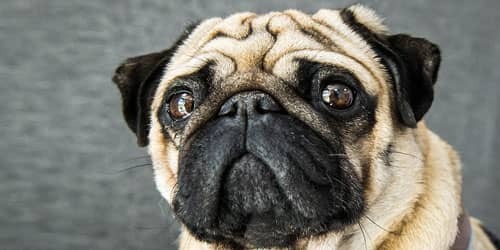 The overarching aim here is to broaden the scope of options to families and their dog or cat affected by osteoarthritis, whether that be with surgery or regenerative medicine incorporated as part of a program of comprehensive medical management. In the future, we hope to utilise this powerful technology for a broader range of applications. 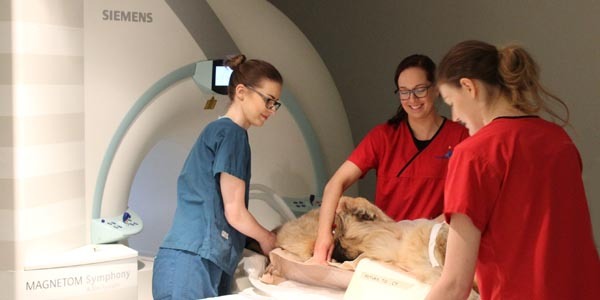 Our dedicated onsite veterinary team are experts in stem cell regenerative medicine and bone tissue bioengineering and are accepting referrals into this service. 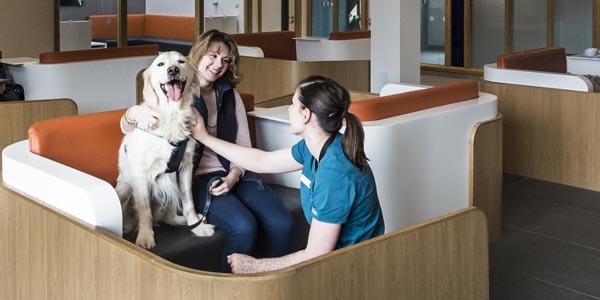 We are proud that this new initiative will sit alongside our existing Orthopaedic and Neurology hospital in Eashing and benefit from the support of our specialist colleagues, extensive veterinary team and world-class facilities.